Often called the ‘Pearl of the South’, Phuket’s east coast is lined with a series of white sand beaches backing onto mountains making the journey from one to another a roller-coaster ride of steep slopes and astonishing views. 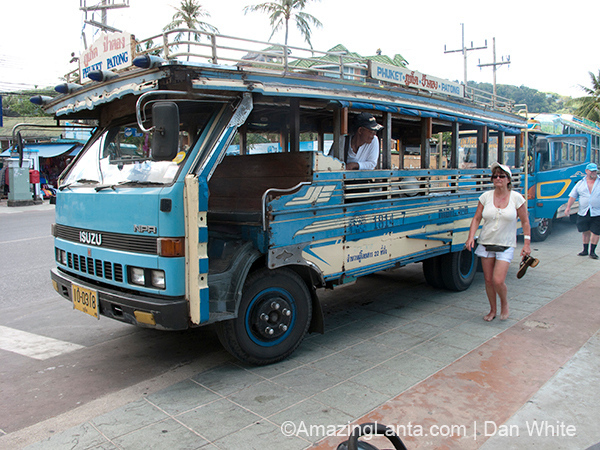 What is also true is that despite its physical beauty, Phuket is a place where development has not always been positive, leading to several of the beaches being extremely overdeveloped and a predatory attitude towards tourists. Thankfully not everywhere in Phuket has succumbed to the flashing neon, pumping techno, screaming bar girls and inflated prices that characterises Patong and some of the other nearby beaches. 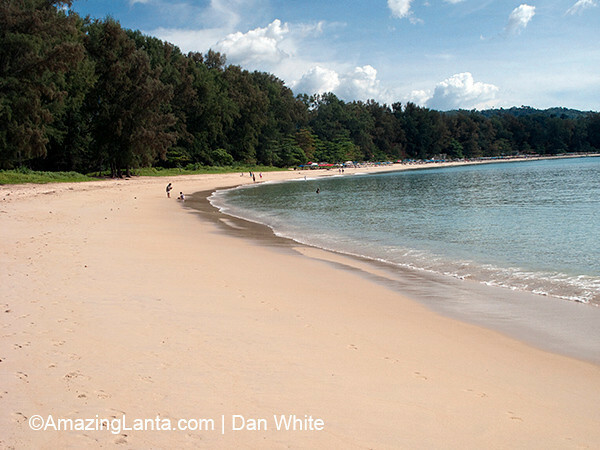 Head to the far north and far south of Phuket and there are some beautiful and still serene places which provide Phuket’s best beaches. If you’re looking for peace and quiet on Phuket away from the crowds, there are several, not so well known beautiful Phuket beaches worth considering – Naithon Beach, Naiyang Beach and Naiharn Beach Follow the links for info on each beach including the best places to eat and drink and recommended hotels for all budgets too. 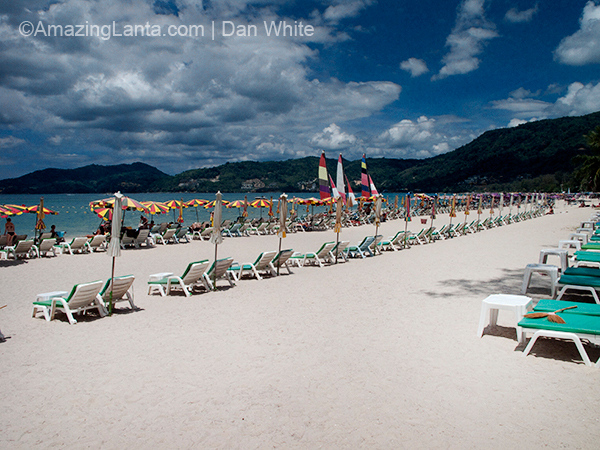 If you want to know more about Phuket’s more famous beaches like Patong, Kata, Karon and more, this quick guide gives you the rundown on where each beach is located and the ambience of each one. 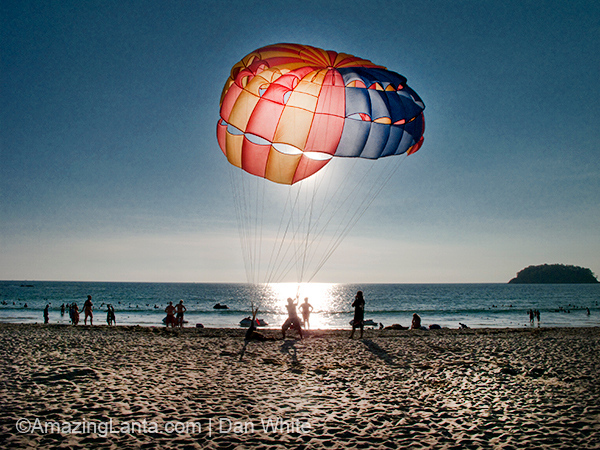 Where Does The Name Phuket Come From? 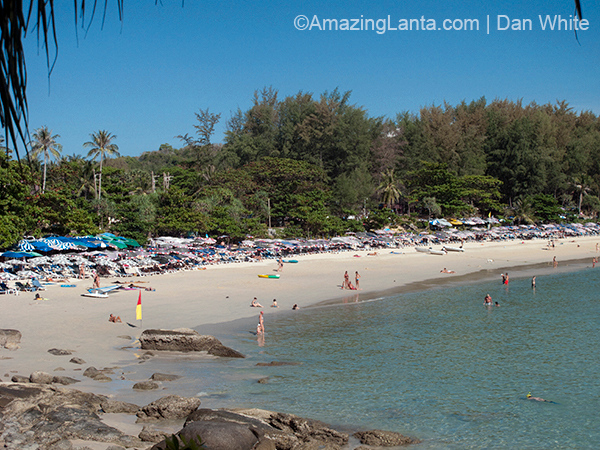 Phuket was originally called ‘Junk Ceylon’, which is a corruption of its Malay name â€˜Jang Si Langâ€™. The name â€˜Phuketâ€™ comes from the Malay word â€˜bukitâ€™, meaning mountain or hill, which is how Phuket appears as you approach it from the sea. Its history is an interesting one being smack in the middle of important maritime trade routes with India and Europe. In the 19th century it also became a centre of tin mining using immigrant Chinese labour. To this day the interior of the island is Chinese in character whilst the coastal areas are ethnic Thai and largely Muslim.